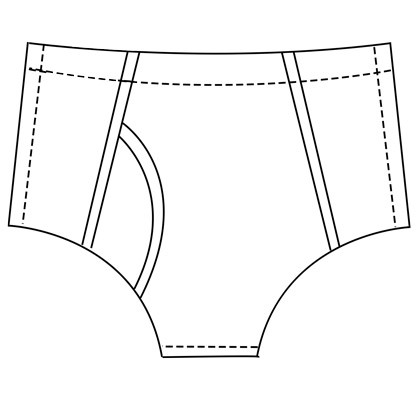 The men's ybrief is typically worn as underwear. They are designed to be form fitting. We recommend either .20mm or .35mm gauge latex sheeting for proper stretch and fit, although other gauges can be used. Note that the design is not a true y-front, the trim is for looks only, as it is not functional.